With the calendar turning over the weekend to February, that means we are only a little more than a week away from the start of spring training for the Cleveland Indians. The one position that we are most interested in following is the one at third base, where Carlos Santana is attempting to transition from being the former starting catcher to a viable option in the field at third base. Santana sounds like he is all in on the switch, telling ESPN Deportes a few weeks ago that he is preparing to “play third base, not other position,” as those are “the plans of the (Indians).” Santana spent his time in the Dominican Winter League working at his potential new position in the field. While Santana seems convinced of the switch, general manager Chris Antonetti isn’t ready to hand the position over just yet. The Tribe needs to do what it can to keep Santana in the lineup as much as possible, and if they can do that while keeping him out from behind the plate as much as possible, all the better. The team didn’t do much to upgrade its offense during the off-season, so Santana’s bat is an important one. The club also needs to find a way to get the situation at third base figured out. The Tribe enjoyed almost a decade of production from the position between Jim Thome, Matt Williams and Travis Fryman, but ever since Fryman retired after the 2002 season, third base has turned into the Indians’ equivalent of the quarterback position for the Cleveland Browns. Casey Blake held the Tim Couch role for a number of years (just good enough to not be embarrassing, not good enough to actually make a difference), and the Tribe has also trotted out a disappointing cast that includes Aaron Boone, a pre-steroid Jhonny Peralta, Jack Hannahan and Lonnie Chisenhall, just to name a few. 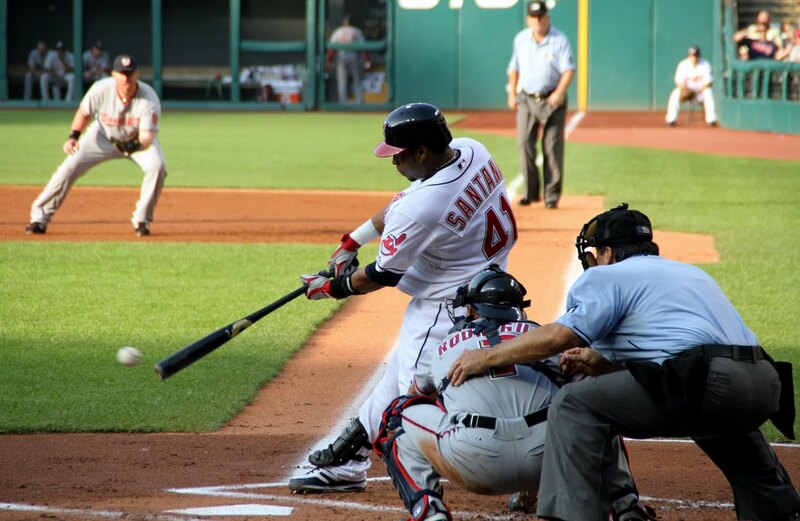 If Santana can at least be competent with the glove, it will go a long way toward helping the Tribe as they try to make consecutive playoff appearances for the first time since 1998 and 1999. Heading into the 2009 NFL season, the Minnesota Vikings needed a quarterback and turned to aging veteran Brett Favre, who led the team to the NFC Championship Game in his first season and was part of a 6-10 season in 2010 before retiring. The Vikings went all in with Favre, but didn’t win a championship. Now, four years later, they are still looking for a quarterback and are basically in the same situation they were in after the 2008 season. We were thinking about that during the Super Bowl on Sunday. The Broncos needed a quarterback after the 2011 seasons and have gone all in with Peyton Manning. And in two years they have a playoff loss and a Super Bowl loss to show for it. What happens after next season if the Broncos don’t win the Super Bowl – Miami in 1972 was the last team to lose a Super Bowl and then win it the following year, so the odds are not in the Broncos favor – and Manning retires, leaving Denver right back where it started without a quarterback? The answer is probably yes, after all losing a Super Bowl is better than not making one, and the Broncos were not going to get anywhere with Tim Tebow at quarterback. But it is an interesting lesson for teams who think they are just a quarterback away from a title and turn to an aging veteran to deliver it. If it doesn’t turn out the way you hope – like in the case of Favre and Manning – you have set your team back at least a couple of years. Thankfully, at least for now, of all the problems the Browns have that is not one of them. Sticking with the Super Bowl, we didn’t realize how much residual dislike we still have for Denver until the game started. But once the Seahawks started rolling, we found it quite enjoyable. The Broncos are now the only NFL team to lose five Super Bowls and they have scored 10 or fewer points in four of those games. So stick that in your pipe and smoke it, Mr. Elway. As for the Seahawks, Browns coach Mike Pettine should have a tape of the Super Bowl running on a loop in Berea because that is the way the Browns need to be playing defense. It won’t happen in one off-season, but the intensity with which Seattle brings it on defense is something we’ve wanted to see from the Browns for a long, long time. Liverpool missed a grand chance on Sunday to solidify its hold on fourth place as the Reds could only take a point off of West Bromwich Albion, a team they are 24 points clear of in the Premier League table. 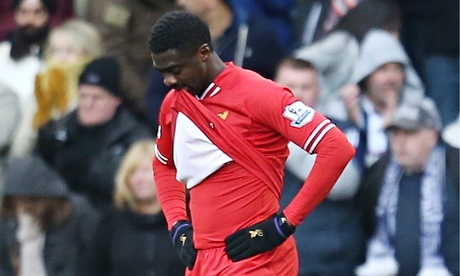 Once again Liverpool took an early lead but couldn’t get through a full 90 minutes without making a defensive error. This time it was Kolo Touré, who’s weak pass across his own penalty area was picked off by Victory Anichebe, who then beat goalkeeper Simon Mignolet for an equalizing goal. Mignolet took the high road after the game, pointing out that you win as a team and lose as a team. “Kolo is more than experienced to deal with those kind of things and it’s not about Kolo, it’s not about another individual, it’s about the team,” Mignolet told The Guardian. “We have to do the things we do as a unit, all together. You win games, you lose games, all together. Every goal you concede is a disappointment, you have to accept those things. You play with 11 men and you lose with 11 men or you win with 11 men. That’s how it goes. The loss cost Liverpool a chance to go four points clear of fifth-place Everton, a team the Reds easily beat earlier in the week. And make’s Saturday’s home match against Arsenal that much bigger. Liverpool is already eight points behind the Gunners, and a loss would not only effectively kill what little hope they have of finishing in first, but also put a hit on their weakened grip on fourth place. Saturday at Anfield will be a good opportunity for the club to show what it is made of.